A high-ranking Trump advisor may still accept as true a debunked connection between abortion and breast cancer. According to a recent fact-checking article by Michelle Ye Hee Lee in The Washington Post, Charmaine Yoest, assistant secretary of Health and Human Services, is "a prominent opponent of abortion rights" who declined to give a yes-or-no answer to the question of whether she still believes it. The Post story cites a 2012 feature story in The New York Times that described her position "supporting the discredited theory that abortion increases a woman's risk for breast cancer." 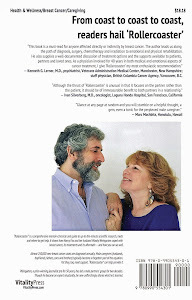 It also cites the conclusion of the National Cancer Institute, the American Cancer Society, the American Congress of Obstetricians and Gynecologists and others in the scientific community that the theory, which has been spread for decades, is false, and that although "abortion has not been scientifically proven to be a factor," there are "many risk factors for breast cancer, including: family history, the woman's age (older women face increased risks), how old she was at her first menstrual period (people who get their first periods earlier face a higher risk), how old she was when she delivered her first full-term pregnancy (women who have children later or who never have children face a higher risk), and obesity after menopause." The Times piece specifically mentions an "analysis of 53 studies involving 83,000 women that found no link between abortion and a higher rate of cancer." 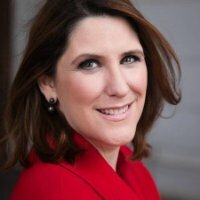 Yoest, herself a breast cancer survivor, has been a national anti-abortion activist (including a stint as president and chief exec of the anti-abortion group, Americans United for Life). The discredited theory, according to the Post, "was widely promoted in the wake of the 1973 Roe v. Wade decision" and perpetuates the myth that "the development of breast tissues at certain periods of the pregnancy cycle leads to an increased chance of breast cancer [and that] if a woman ends her pregnancy in the second trimester, from about 20 to 32 weeks, she faces a greater risk." The theory doesn't differentiate, by the way, between pregnancies ended via abortions, miscarriages or premature deliveries. 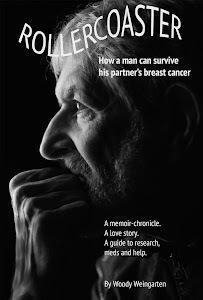 Other debunked theories about breast cancer risks are detailed in "Rollercoaster: How a man can survive his partner's breast cancer," a VitalityPress book that I, Woody Weingarten, aimed at male caregivers.